Do you every look at a picture and think it’s lacking depth? 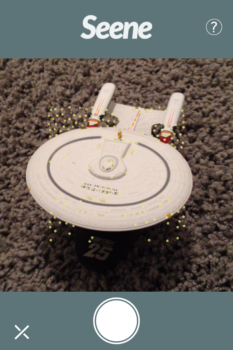 If so, using Seene you can take 3D pictures and see their depth by tilting your iPhone. 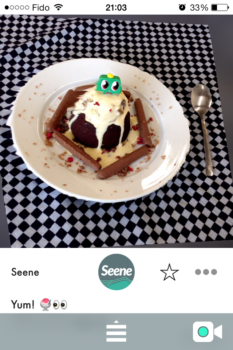 Seene is as much about sharing your 3D pictures with other Seene users as it’s about taking them. Similar to Twitter, you can follow users and be followed. Your Feed tab will show the latest 3D pictures taken by the users you follow and you can tilt to view them within the tab. You can also find 3D pictures by going to the Discover tab. Here you can scroll through and view the array of 3D pictures shown or you can search by hashtag (category) or username for a particular photo. When you want to take your own 3D picture you tap on the camera icon and first time you do you’ll be shown a tutorial on how to take a Seene (3D picture). Basically, you’re taking a video and moving your iPhone a short way around the object you’re focusing on. Then, Seene uses that footage to produce a 3D picture. I like Seene because it makes more than just 3D pictures, it makes 3D models. I know they’re not complete, but considering they’re made just from my iPhone’s camera they look pretty good. Also, the load times are pretty quick considering how large these 3D picture files must be. As I scrolled through my feed or opened up 3D pictures I found in the Discover tab, I had to wait only a couple seconds before I could tilt the photos. 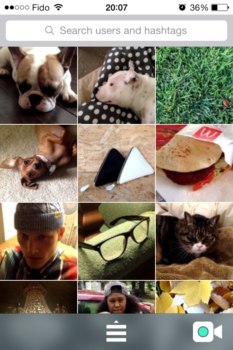 In the Discover tab you can view random 3D pictures or use the camera to take some of your own! 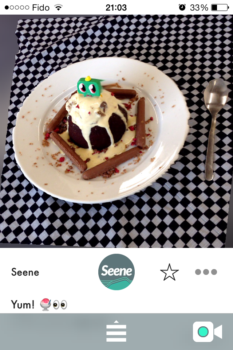 If you’re looking for a unique and interesting way to take pictures you should try Seene. 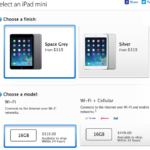 You can download Seene for free from the App Store. Then, tell us what you think of 3D pictures.